Home Book "Sustainable cities. Assessing Urban Environments"
Editor: Pierre LACONTE, President, Foundation for the Urban Environment, member of the Lee Kuan Yew World Cities Prize Council (2010 and 2012), evaluator for the EU Green Capital Award (2011 and 2012). 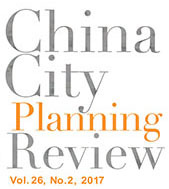 Co-editor Chris GOSSOP, Town planner and former planning inspector (England), editor/co-editor of the ISOCARP Review (2009-2013), Trustee of the National Energy Foundation, Milton Keynes, United Kingdom. 1. Assessing Sustainable Urban Environments depends from the levels of observation – individual buildings, urban neighbourhoods and entire cities and towns, as well as the period of reference. 2. The publication proposes a critical assessment of the techniques used to assess urban environments, including factors affecting climate change. 3. 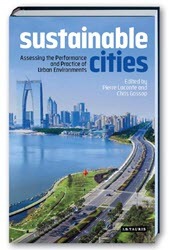 The book presents a number of best practices, including Urban Transport in France (Peter Hall’s last paper), Manchester’s waterfront, Amsterdam’s ring canals, London’s King‘s Cross development, Hamburg’s energy efficiency district, the Lee Kuan Yea World City Prizes Bilbao, New York and Suzhou (see illustration), Singapore being their common model, and the new university town of Louvain near Brussels. Sustainable cities. Assessing the Performance and Practice of Urban Environments was also recommended by Ralph P. Hall, Associate Professor, School of Public and International Affairs, Virginia Tech, as his Provost’s Honor Book. Legend of icon 4: The ‘Smart Material House’, one of 16 highly energy-efficient houses developed by IBA Hamburg. Source: IBA Hamburg GmbH/Martin Kunze.